Our We Try Before You Buy series aims to take the stress out of shopping and eliminate the number of post office visits you make each month to return failed online orders. We test new-season buys and styling ideas so you don't have to, letting you know what is actually worth investing in. January is a time when we all have the best intentions for the year ahead, and this overhaul applies to our wardrobes just as much as our fridges (and I'm not just talking about Marie Kondo folding). Some New Year's resolutions I keep hearing this year are to make more sensible purchases, invest in pieces that will last and avoid passing trends—all of which makes for a happier and more sustainable wardrobe. It's possible to find timeless updated basics that still feel current and don't have an expiration date. For this month's try-on session, our editors each tackled our own winter essential to find the best—and most interesting—out there. 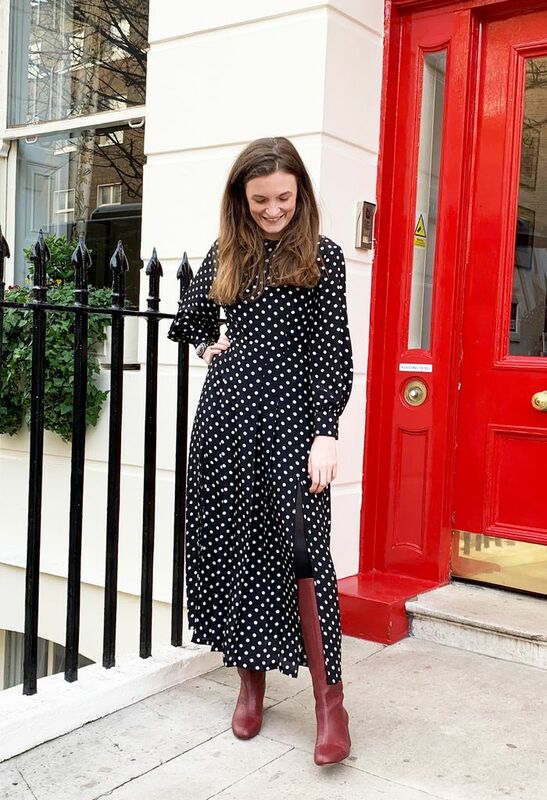 I tried on dresses that you can easily slot into your winter wardrobe and was most impressed by Rixo's polka-dot dress and a green floral shirtdress from Kitri. Hannah Almassi tested coats and found a tailored wool coat in a colour you might not expect. She also found the perfect teddy bear coat for a cosier option. Meanwhile, Joy Montgomery tried on ankle boots, discovering a Charles and Keith pair that defy their price tag. Last but not least, Maxine Eggenberger, our resident knitwear expert, showed that crewnecks can be a lot of fun. Keep scrolling to see and shop our eight updated basics. This Rixo dress is called the Emma, so it feels like it's made for me. It can be hard to wear light, breezy dresses in winter, however, this looks as good with tights and knee-high boots as it would with sandals. It's an update on a classic polka-dot dress. The two slits on the skirt, the fitted waist and the loose sleeves make it a little more unusual. It's perfect for weddings too. Green floral dresses really took off last year, and Kitri is ensuring that this trend continues well into 2019 and beyond. The classic shirt neckline is really flattering and is perfect for layering in winter (I wore it with a black roll-neck underneath). This colour is also perfect for any time of year, as it is bright and cheery but also goes with black, grey and navy. It'll pair great with most winter coats and boots. "When I slipped on these ankle boots, I was convinced that they were designer, so when I found out they came in under £100, I was pretty impressed. They're high enough to give you that little lift you want from heels, but not so high that they were uncomfortable to walk in. My favourite part of the boots is the detailing on the toe, which give them a designer finish," says Montgomery. "I've been in love with Aeyde's boots ever since I first set eyes on them last year. They offer everything I want from a shoe: comfortable, mid-height heel, Western feel, patent finish and dreamy colourways. Sold. 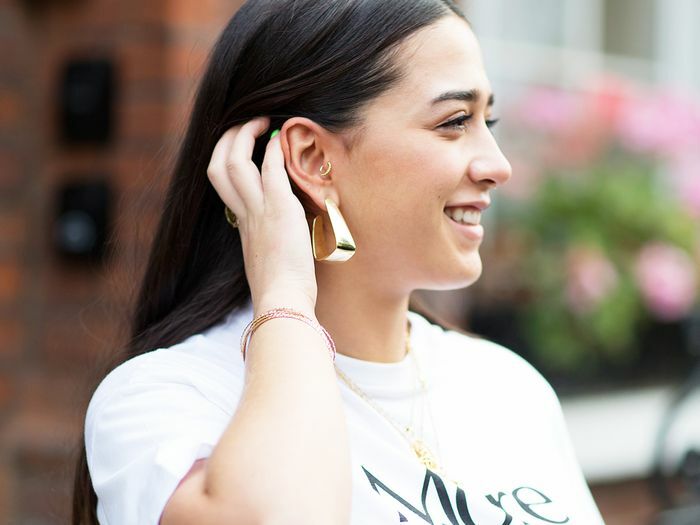 I reckon this pair would look great with everything in my wardrobe, but I particularly love them with cropped jeans and a chunky knit," says Montgomery. "Hailing from Scotland, my knitwear collection is as impressive as they come. First up was this Joseph jumper, which, by all accounts, is a tad out-there compared to my usual wares. However, as soon as I pulled it on, I fell in love. The abstract print makes for a major talking point that makes any outfit look infinitely cooler and, rather surprisingly, it goes with the vast majority of my wardrobe. Proof that it definitely worth trying something out of your comfort zone from time to time," says Eggenberger. "When it comes to colour, I tend to stick to a palette of blue, burgundy and tan, as well as neutral staples. My love for this Kitri cardigan means I'll be buying more green from here on out. The emerald shade is what initially attracted me to it, but I soon realised it's essentially the perfect cardigan. The shape is on point and the weave is thick, yet not to the point where it makes pulling a coat over the top a struggle. In fact, I may just snap it up in the ultraviolet colourway, too," says Eggenberger. "I don't see the trend for teddy bear going away any time soon, but I do think it looks most sophisticated in shades of brown or tan, which means this coat is more likely to stand up as an investment piece. If you get a lot of wear out a classic camel overcoat already, perhaps this is the best upgrade to make rather than opting for something wildly different. It's also really warm, so great for tacking the Beast From the East!" says Almassi. "I've already told you I'm a big fan of Rejina Pyo's delightful dresses, but she's just as adored for her coats. They're often in really classic shapes and unexpected colours, and have cool detailing on the back. If you've just become bored with muted colours (which, by this point in winter, I am), a punchy pastel blue like this can lift your wardrobe. Instant mood—and outfit—improvement," says Almassi. 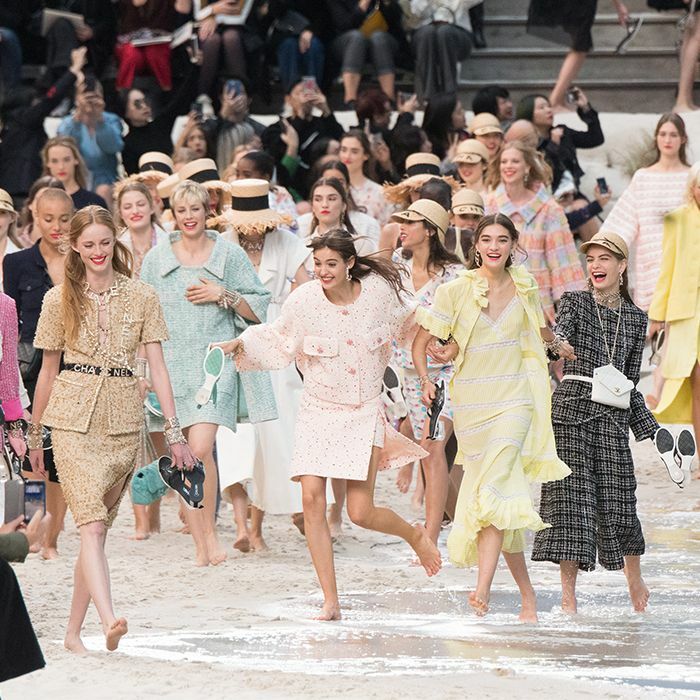 Next, see our guide to the key trends for spring/summer 2019.